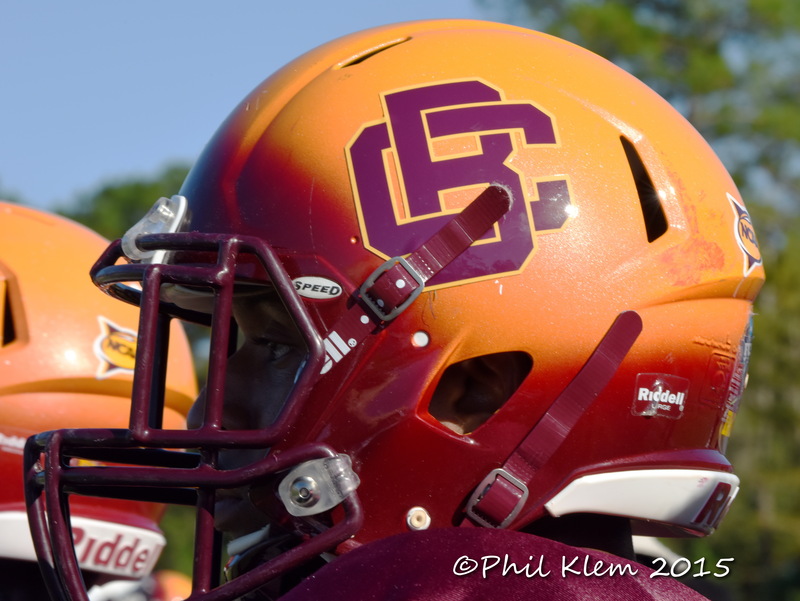 The Bethune-Cookman football program has spent most of the last five seasons nationally ranked and atop the MEAC standings. In that same timeframe, the Wildcats have posted more victories than any other conference school and advanced to the postseason on four occasions. Yet despite its recent run of success, the buzz surrounding the program has been relatively quiet heading into the 2015 campaign. 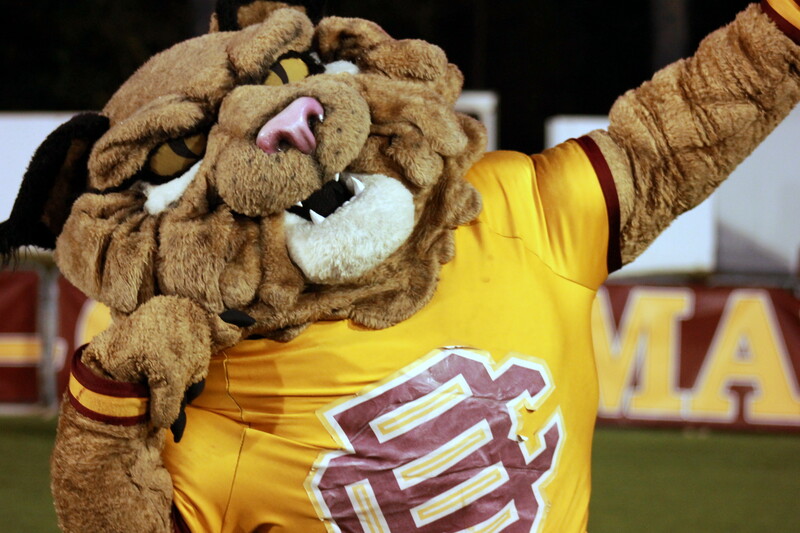 Questions abound as to rather BCU’s window of success is closing or if the Cats are poised to continue their reign as one of the premier programs in the HBCU and FCS ranks. 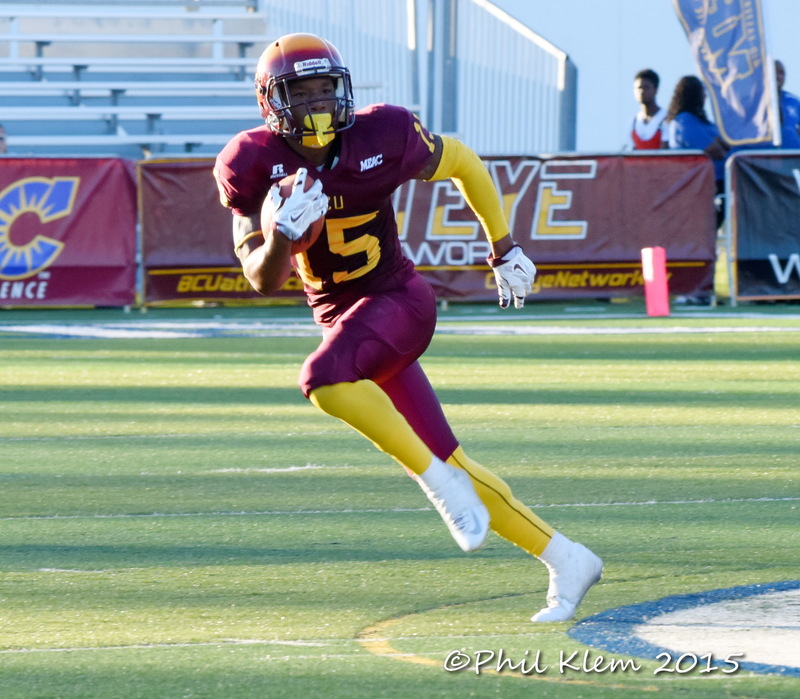 Here are 5 mysteries that must be solved if Bethune-Cookman is to remain consistent in its winning ways. First year head coach Terry Sims inherits a roster full on talent but lacking in experience. Sims won’t be afforded a honeymoon period to acquaint himself or his young squad to the high expectations in Daytona Beach. Wildcat fans fully expect Sims to continue and build upon the success of former head coach Brian Jenkins. Sims is well respected within the BCU athletic department. He is ultracompetitive, detailed-oriented, and perhaps better credentialed than was Jenkins when he first took over the reins in 2010. But there are some aspects of the head coaching position for which only the crucible of experience can prepare you. The manner in which Sims responds to tense, split-second and sometimes unpredictable moments on and off the field will go a long way in determining the success of this year’s squad. Fantastic Four or Fantastic No-more??? Yogi Jones is arguably the best defensive coordinator in the MEAC. He will need to rely on all of his experience and know-how to ready a defense that features nine new starters including an all new front four. 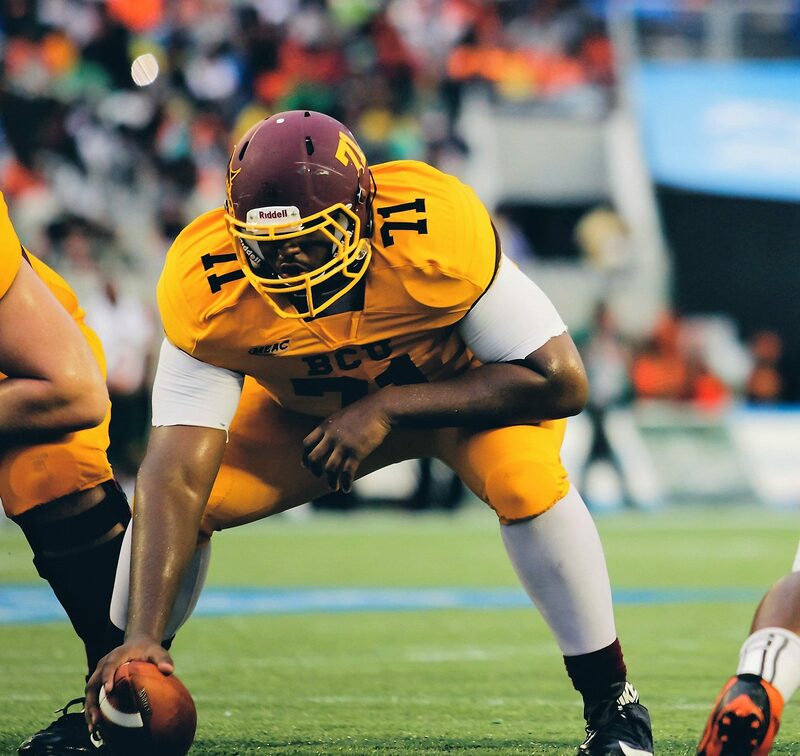 Not only will the defensive line feature four new starters but the four new starters were not even enrolled at Bethune-Cookman this time last year. Thankfully, they all have some post-high school playing experience under their belts and they all possess great athleticism and potential. Getting this group of new faces to actualize their talents and replace the production void left by the likes of Erik Williams, LeBrandon Richardson and Rony Barrow will be quite a task even for Yogi Jones. Donald Smith returns as the lone starter at linebacker. We expect Robert Way, our preseason pick for breakout player of the year, and Deland high school product Trenton Bridges to join Smith as the starting linebackers. All three guys will lay a good thump on you. We just want them to get in the habit of getting ball carriers on the ground and racking up tackles. We’ll worry about highlight reel hits down the road. While Yogi Jones has proven his mettle as a great defensive coordinator, the jury is still out on 4th year offensive coordinator Jim Pry. 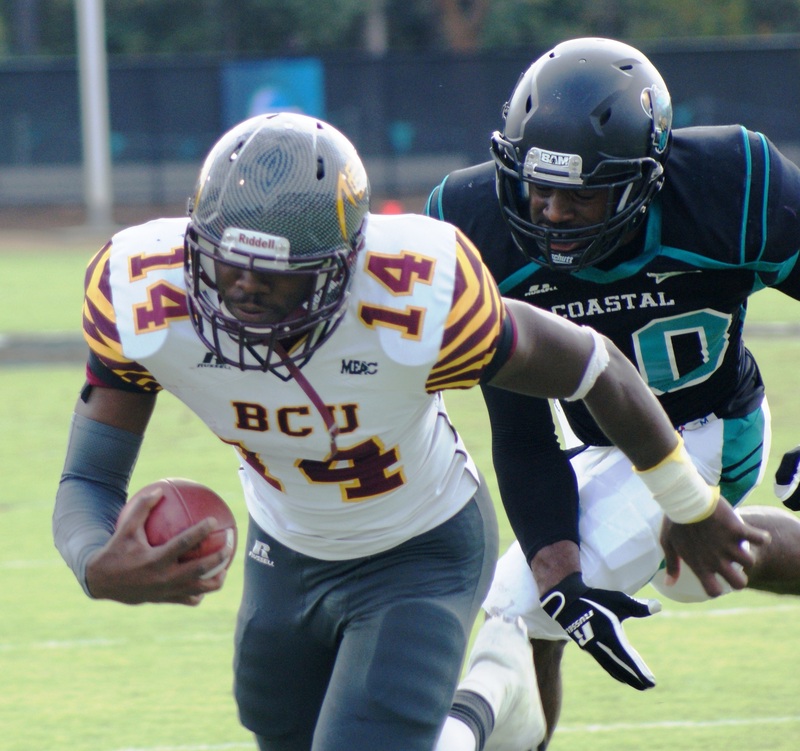 BCU has never averaged more than 30 points per game or more than 400 yards of total offense under Pry’s guidance. In fact, Pry’s units rarely racked up huge numbers in his previously stints as offensive coordinator at Dartmouth, Akron and Duke. Granted, you can’t measure success by statistics alone and the offensive talent he had at his disposal while serving as OC at the aforementioned schools generally were not as good as the competition he faced. But coaching is a bottom line business. Pry will need to have the BCU offense prepared to carry more of the weight this season to give the new faces on defense time to jell and gain experience. In 2010, BCU entered Fall Camp unsure who would emerge as the primary signal caller. Senior Matt Johnson stepped up, made the job his own, and proceeded to have one of the best seasons any Wildcat quarterback has ever experienced. We’re hoping redshirt senior Quentin Williams can find some of that same magic in his final year. Williams has not been bad as a starter but he has struggled with consistency at times. Q needs to step up his production this season. Whether he does or doesn’t isn’t an issue of talent but one of confidence. Larry Brihm will challenge Williams for snaps all season and the thought of both quarterbacks taking meaningful snaps is not out of the question. The Terry Sims era of Bethune-Cookman football begins on Saturday, September 5th when the Wildcats travel to South Florida to take on FBS powerhouse University of Miami. Kickoff is scheduled for 6:00 pm. The game will be broadcasted on ESPN3. 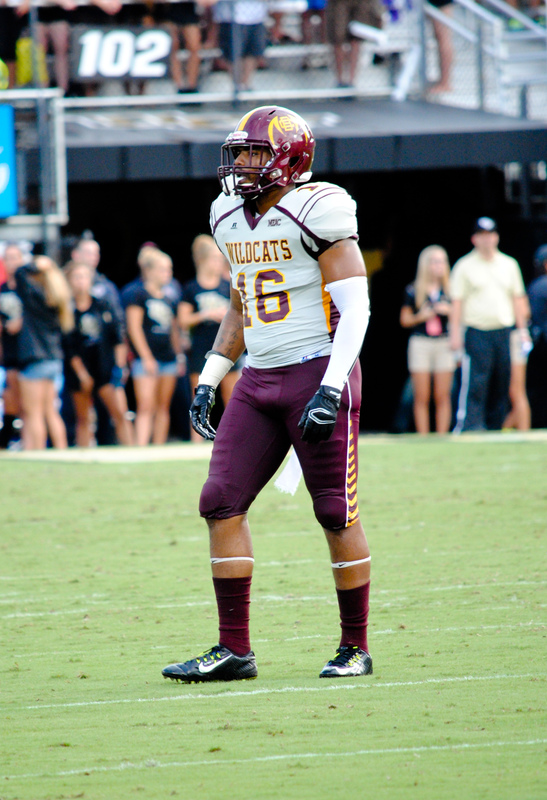 DAYTONA BEACH — When Bethune-Cookman’s LeBranden Richardson takes the field at Bright House Networks Stadium Saturday, he should feel right at home. As a former UCF player, Richardson is quite familiar with the surroundings of the Knights home turf, but this time the confines won’t be so friendly. Nonetheless, he’s looking forward to seeing some of his old friends. Some of his former teammates are gone and so is his old position coach Jim Panagos, now the defensive line coach at Rutgers, but the Knights’ roster still features some of his closest friends, including UCF receiver Josh Reese. BCU’s 2012 football season officially kicked off on Thursday morning with the opening of Fall camp at the New Smyrna Sports Complex. The new season brings with it a ton of excitement, high expectations, and the challenges of the unknown. Here are 5 of our most pressing questions heading into camp. 1. Who will be the Wildcat’s primary signal caller this year? Coming out of Spring practice, Jackie Wilson was tops on the Wildcats’ depth chart at quarterback. Wilson completed over 66% of his pass attempts last year and was undefeated as a starter against FCS competition. The 6’0”, 215 pound Junior from Ft Lauderdale is expected to be pushed for the starting nod by Louisiana Tech transfer, Brock Waters (Sr.) and redshirt Freshman and 2010 Florida Mr. Football, Quentin Williams. Waters seems to be the best of the three with his legs, Williams with his arm, and Wilson the best dual threat. 2. Which newcomer will have the greatest impact on the squad? 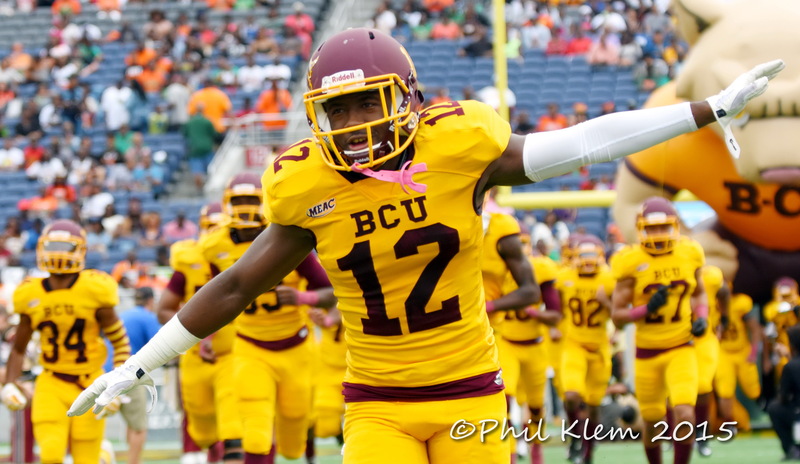 Many HBCU pundits rated Bethune-Cookman’s 2012 signing class as the best in all of black college football. Several of the 2012 signees will have a chance to step in and contribute right away. Here are a few of the new faces that we’ll be watching closely. –Brandon Bryant, UCF transfer, has tremendous ability and could step in and fill one of the vacated defensive end slots right away. –Brock Waters, La Tech transfer, is a versatile athlete who can play any of the three offensive skill positions (QB, RB, and WR). –Ray Martin is an explosive WR/return specialist from Sanford Seminole high school. Martin was a bona fide playmaker at the high school level and a threat to “break one” at any time. 3. Will the Wildcats be able to compensate for the loss of six defensive starters from a year ago? This year’s defensive unit may be more athletic, faster, and deeper than last year’s defensive group. The problem is this year’s defensive unit is far less experienced. Gone are six starters from a year ago, three of whom are currently on NFL rosters (Ryan Davis-Jaguars, Jean Fanor-Chiefs, and Ryan Lewis-Dolphins). 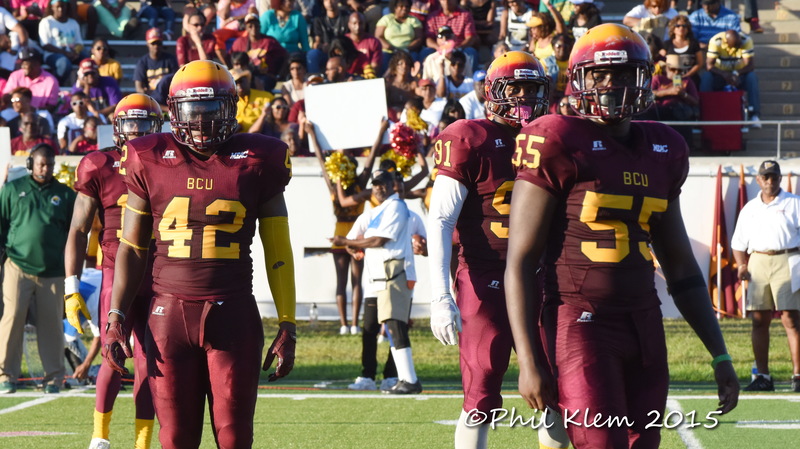 Defensive lineman Harold Love III, linebacker Jarkevis Fields, and safety DJ Howard are all 2012 Preseason All-MEAC selectees. Love, Fields and Howard are proven playmakers at all three levels of the defense (line, linebackers, and secondary). The trio will need to provide leadership and stability to those around them and help facilitate the growth of players like Brandon Bryant, Tavarus Dantzler, and Nick Addison. 4. Will the Cats win their first ever FCS playoff game? 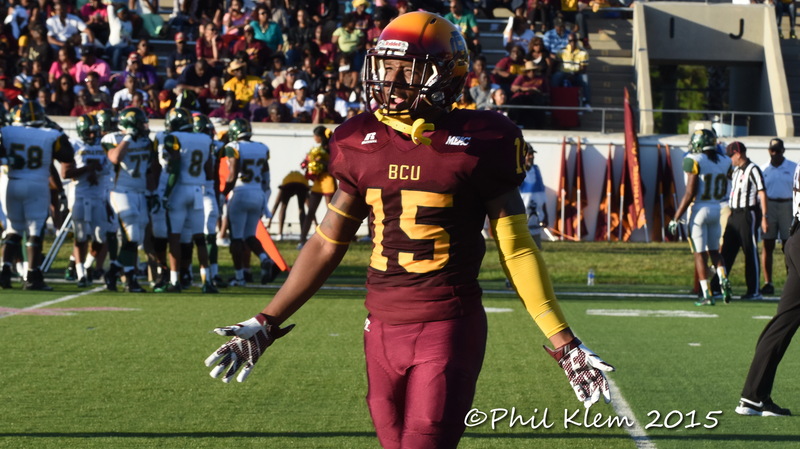 Bethune-Cookman is 0’fer in FCS playoff games and the MEAC is 0 for its last 12 in the FCS playoffs. This year seems as good as any to finally break those dubious streaks. But before the Wildcats can hope to win a playoff game, they must first navigate an arduous schedule and win the conference’s automatic qualifier. The Cats first four conference matchups are against powerhouse South Carolina State (09/08), Hampton (09/29), North Carolina A&T (10/06), and Norfolk State (10/20). BCU fell to SCSU and NCA&T last season, they narrowly escaped Hampton thanks to a replay decision after regulation time expired, and NSU is the defending conference champion. YIKES! 5. Will the institution and the City of Daytona Beach resolve the issue surrounding the $3 surcharge added to game tickets before the season begins? 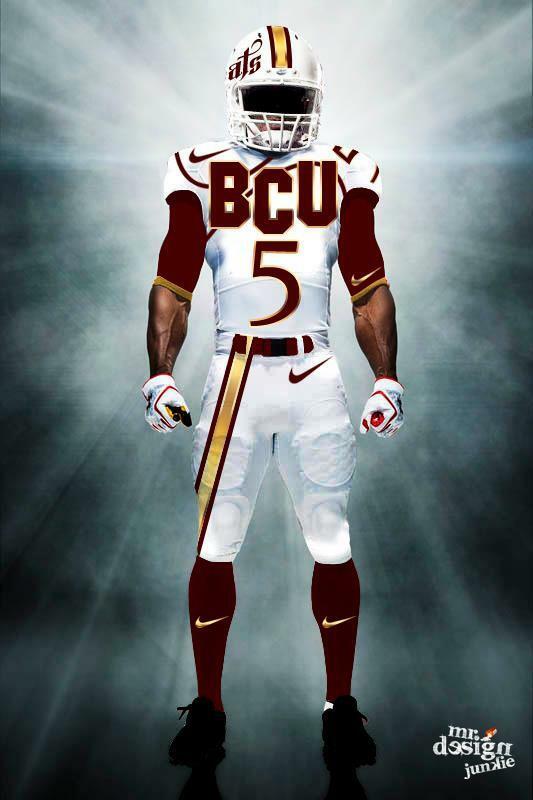 The City of Daytona, in hopes to offset the cost of installing the synthetic playing surface at Municipal Stadium, has once again proposed that a $3 surcharge be added to each BCU game ticket. The school has offered a counter-proposal which the City is said to be reviewing. Neither side can afford to have this issue linger very long. An unused stadium (and consequently unsold hotel rooms and fewer dollars spent at local restaurants, retail outfits, and gas stations) serves no benefit to the City of Daytona Beach. And changing venues this close to the start of the season would be a logistical nightmare for BCU. Let’s hope that an amicable solution can be reached in the coming days.